Featuring a soft crew-neck band finish and a streamlined shape which is both comfortable and flattering, we've elevated this loungewear t-shirt into a luxury essential for the modern man. Made from a unique blend of micro modal stretch, our specially developed Basel 4 fabric is ultra-soft and doesn't pill, making it able to withstand countless days of lounging, numerous sessions at the gym and even a casual weekend day out. Wash after wash the vibrant teal maintains its colour and the shape returns to it's original design, even if left on a hanger for a long period. 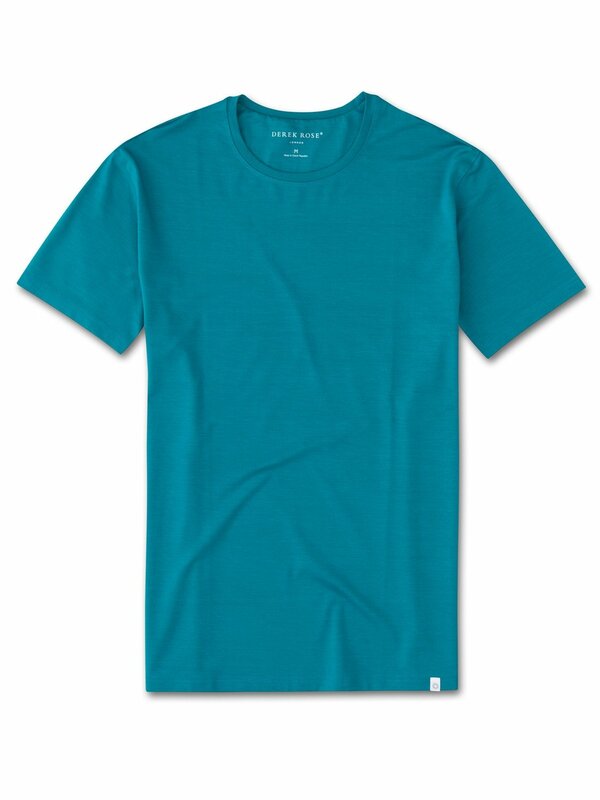 Not only is the Basel 4 tee soft, but thermostatic properties in the micro modal fibres allow them to react to changes in temperature and regulate your body heat. Furthermore, the Basel 4 fabric retains its initial softness and is also environmentally friendly; made from sustainably forested European beech trees using a process that is carbon neutral.